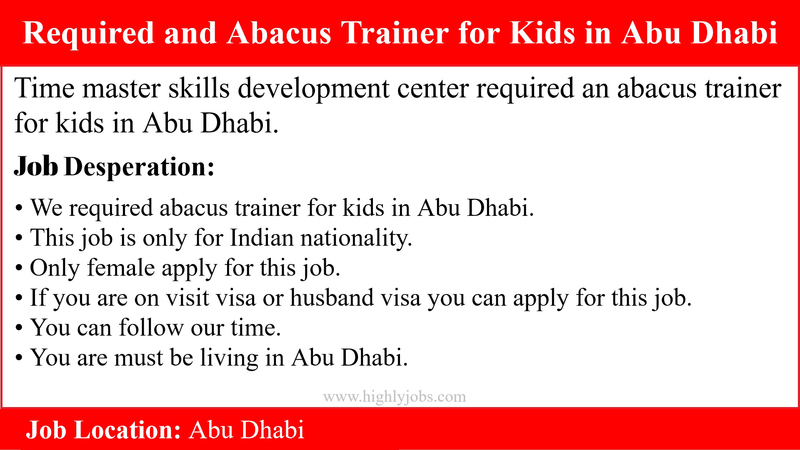 · We required abacus trainer for kids in Abu Dhabi. · This job is only for Indian nationality. · Only female apply for this job. · If you are on visit visa or husband visa you can apply for this job. · You can follow our time. · You are must be living in Abu Dhabi. · Your English communication skills is good. · Minimum 2 years’ experience required in this field. · You must pass master for this job.